Matthew Butterick is a writer, typographer, lawyer and author of Typography for Lawyers. 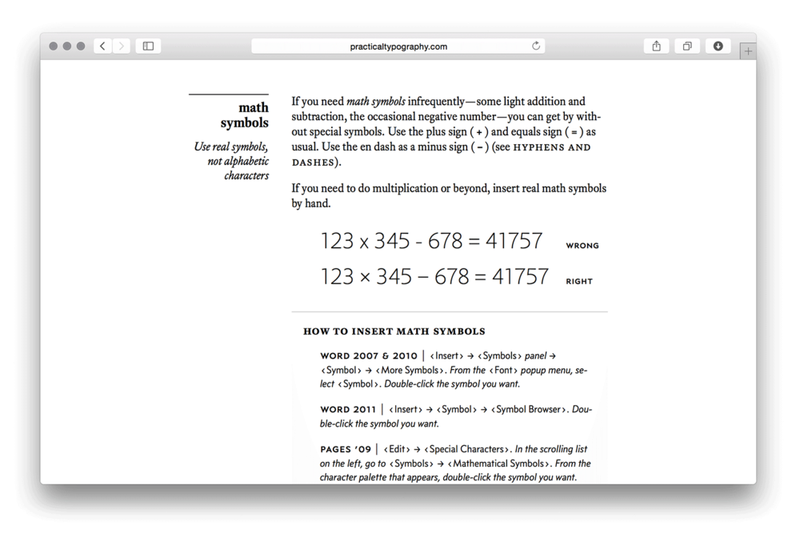 His newly released web-based book, Butterick’s Practical Typography, is an excellent resource for anyone that communicates with words in print or on the web. As the name suggests, it is practical and emphasizes that “typography is for readers, not writers.” The book is composed of clean, well-typeset pages of content and comprised of simple descriptions, instructions, key commands and references for practicing good typography. It also contains a fantastic forward by his friend Eric Spiekerman, one of the best typographers of our time. Click through for a few page examples.